A spangling kit with 2 meters of 0.5mm brass wire, and sufficient glass beads to spangle at least 5 pairs of lace bobbins. 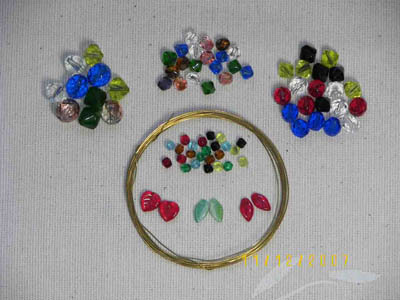 The photo is a sample, and colours,shapes of beads may vary. Approx. 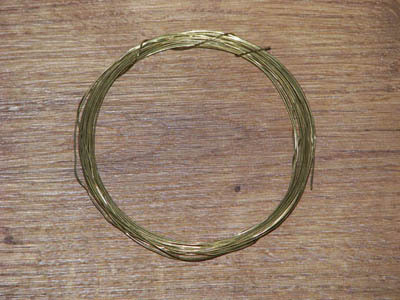 4m of 0.5mm diameter Brass wire to spangle quite a few bobbins with.